13" Floating for 7000 Deere, Kinze (except 4900) & White 6000 & 8000 w/o coulter. 45 Degree for narrow rows and high speed planting. 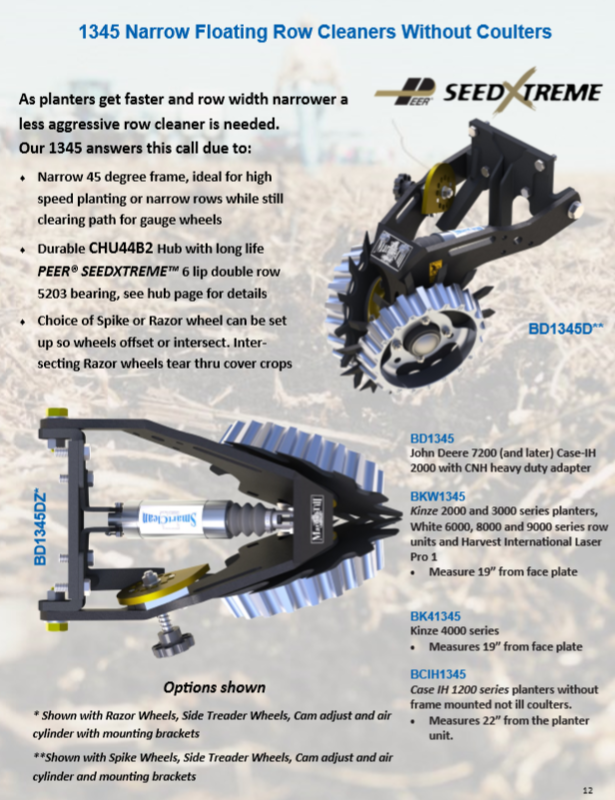 Uses CHU44-B2 hubs with 5203 PEER Seed Extreme 6 lip seals Can be ordered with Razor Wheels to run intersected or offset.